Obituary for Kenneth John Turpin | Swan Valley Funeral Services Ltd. It is with great sadness the family of Ken Turpin announce his passing at the Personal Care Home on January 9, 2019 at the age of 83 years, with his wife and son Pat by his side. He was born of August 9, 1935 to John (Jack) Turpin and Helen (Uhrich) Turpin on Section 6, Township 36, Range 31, West 1, north of Pelly, Saskatchewan. When Ken was two years old the family sold the homestead at Pelly and purchased a farm near Sintaluta, Saskatchewan. Ken’s mom said the first while they were at Sintaluta she couldn’t get Ken to go outside much because he was afraid of the wide-open space after being surrounded by trees at Pelly. Ken rode horseback to school at Spring Coulee, a one room country school, until Grade 8 then completed Grade 9 in Sintaluta. He left school to help his dad with farming. Ken met the love of his life and best friend Mary Bonnor at a New Year’s Eve dance in 1959. They were married November 26, 1960 and had just celebrated their 58th anniversary last November. Son, Alex was born in 1962 and daughter, Carmina in 1964, both at Wolseley, Saskatchewan. After the farm was sold at Sintaluta the family moved to Weyburn, Saskatchewan where Ken worked for CCIL for several years. Son, Pat was born in Weyburn in 1968 and daughter, Dawna in 1971. Ken also worked in the oil field for Jerry Mainil for a few years. On New Year’s Eve day 1970 he was gassed with hydrogen sulfide and decided that that work wasn’t for him. Ken went to work for Shupe Bros. Equipment as well as doing farm work for them, which he enjoyed. Farming was always a love for him. When the opportunity to buy a farm at Swan River arose Ken jumped at the chance and the family moved here in the fall of 1973. Ken was an excellent self-taught mechanic and there wasn’t much he couldn’t fix. Second hand equipment was modified until it met his expectations and sometimes even new equipment was too. After the move here, Ken worked for Carl Werbicki and later Double N Equipment as well as doing mechanical work for farmers in the area. Ken loved animals especially horses and dogs. He got hours of enjoyment watching the horses in the pasture across the road from his room. They were “his” horses. Ken always had a dog in his life. We heard many stories of hunting rabbits on a Sunday afternoon in the coulees and how his beloved Husky, Trixie, would always find them. Also, how he could put the rifle sling around her neck, and she would carry it home. He was an avid hunter in his younger years, but here it was predators going after chickens, etc. 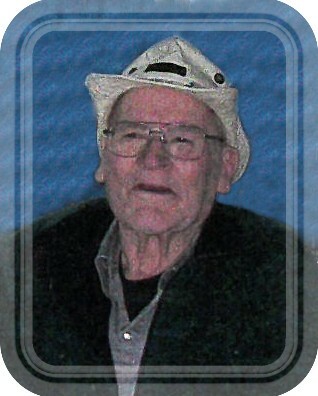 Ken enjoyed camping and fishing and spent many years as seasonal campers at Whitefish Lake. He enjoyed having the grandchildren in the summers and visiting whoever came by the campsite. Failing health ended the camping which Ken missed for a couple of years. He often talked about things that happened there and the many good times and laughs shared with other campers and enjoyed going up for an afternoon to see if there was anyone to visit with. Family was very important to Ken and he was happiest when all the family was around and loved to tease the grandchildren even if they didn’t appreciate it sometimes. He and Brett often got into trouble with some of their antics. Ken leaves to mourn his passing, his loving wife of 58 years Mary; son, Alex (Jacqueline), granddaughters Miranda (Travis) Turpin of Yorkton, Saskatchewan and Samantha Turpin, and daughter in law Cheryl both of Denare Beach, Saskatchewan; son Pat of Swan River; daughter Dawna; grandsons Garth Klimm and Brett Klimm, and son in law Tim (Lisa) Klimm all of Tisdale, Saskatchewan; brother in law Jim (Joyce) Bonnor, and sister in law Karen McKenzie all of Wolseley; sister in law Carolyn Prashaw of Dunnville, Ontario; and numerous cousins, nieces, and nephews in law. Ken was predeceased by his daughter Carmina 1972, parents Helen 1995 and Jack 1996, in laws Jack 1973 and Doris Bonnor 1997. Mary’s siblings Florence and Gordon Downing, Lavina and Bud Poole, Gladys and Doug Smith, Bill Bonnor, John Bonnor, Penelope Bonnor and brother in las Bill Prashw. Honorary urn bearers were Jim and Joyce Bonnor, Karen McKenzie, Sheila Assoignon, Bert Nerbas, Don and Charlotte Payak. Urn bearers were grandchildren, Miranda and Samantha Turpin, Garth and Brett Klimm. A Celebration of Life service was held at the Big Woody Hall at 1:00 p.m. on Friday, January 25, 2019. Interment will be held at a later date in the family plot at Wolseley Cemetery, Wolseley, Saskatchewan. If friends so desire, donations in Ken’s memory made to the Swan Valley Animal Protection League would be appreciated by the family.